Beautiful Corvette Fordite heart pendant wrapped in sterling silver wire. This fordite comes from the Corvette Assembly Plant in Bowling Green, KY during the years of 1971 - 1978. 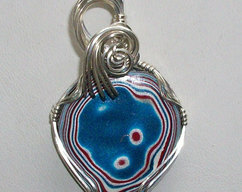 Finished pendant measures 2 inches long and 1 inch wide and is a swirl design in many colors. Included is an 18 inch silver filled 1.2mm box chain. Why not own a beautiful pendant and a piece of automobile history. One of a kind. Fordite is not really a gemstone, but the buildup of layer upon layer of acrylic enamel paint that has been baked over and over again, making it very hard and durable. Fordite has been harvested off the old paint racks in the automobile factories and cut and polished into much sought after cabochons. 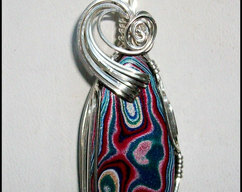 Fordite is a Collector's items since automobiles are no longer painted this way. 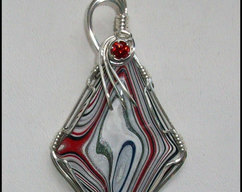 Fordite is being recycled by artisans and turned into amazing looking jewelry. 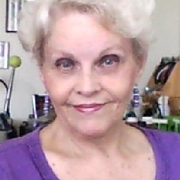 Joan Madouse aka The Fordite Queen is proud to offer beautiful jewelry creations using Fordite in many colors and patterns. No two are alike!